If you're not familiar with Indigo, you should be as we've covered it numerous times already. 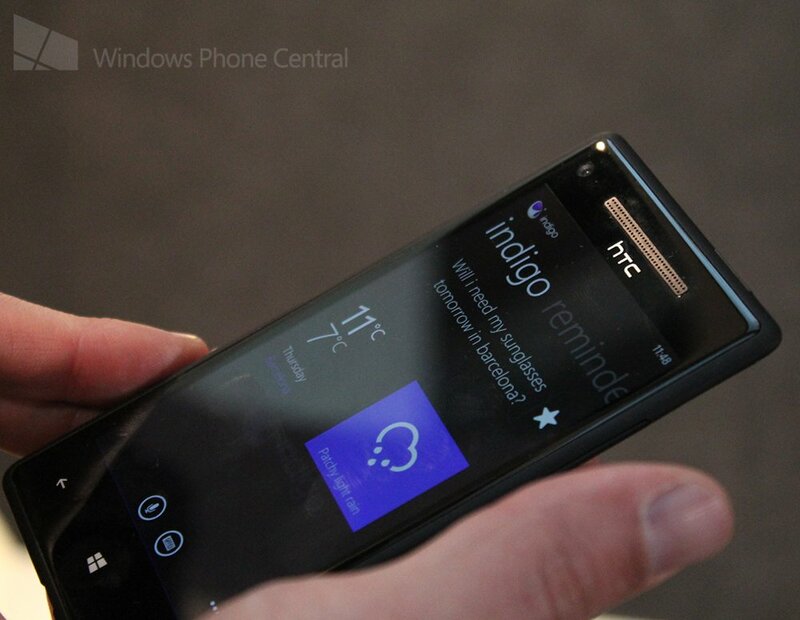 It's a cross-platform personal assistant for both Windows Phone and Android. We first looked at the upcoming app back at Mobile World Congress earlier this year. We then covered news that the company behind Indigo, Artificial Solutions announced that April 23rd is the date when the app will be released for Windows Phone and Android. Now we've got our hands on a pre-release version of the beta, before it's released to the store for public use. Spending a number of hours simply having a conversation with our Windows Phone has been rather humorous, as well as slightly strange. The app is actually really nice and handles speech input well with some strong integration with the operating system. As one can see from the above shots, as well as our previous articles, Indigo supports a number of categories. From Facebook and Twitter, all the way to email, reminders and calendar events. There are numerous functions the service can carry out. Asking Indigo what the user can say, or what it can do will bring up an interactive guide that provides some examples of recognizable speech commands. Since we only managed to capture text input on video at MWC, we figured it would be pretty neat if you were able to see the speech recognition in action. We tried out the reminder feature that's baked in to the app. 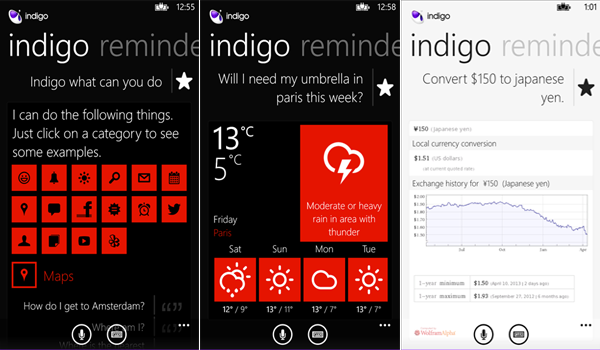 These reminders aren't stored on the windows Phone calendars, but are listed within Indigo. It's possible to create calendar appointments (or events) using Indigo, so fear not - it's just worth noting there's a difference between the two. Also, I noted in the video that one can change the search engine. This is possible (according to the website - not available just yet), but by default the app uses the built-in Bing search, which is good enough. If you wish to use another source, simply ask it to Google something. Please note that the app doesn't work with the press-and-hold home button speech input. Commands have to be entered within the app. We'll be sure to let you all know when the app is finally available. Not long to go now, only a few more days.